Former Real Madrid Coach, Zinedine Zidane wants a job in the Premier League and is watching Jose Mourinho's situation at Manchester United closely, according to reports. 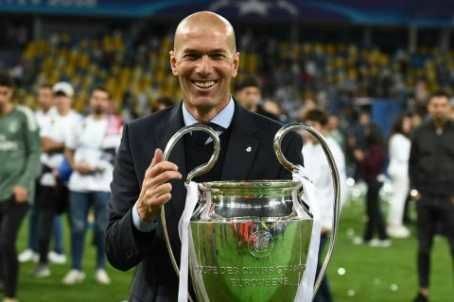 The 46-year-old is currently jobless after he resigned at Real Madrid in May just after winning a their successive Champions League trophy with the La Liga club. Zidane has won the La Liga title in 2017, as well as two Club World Cup trophies during his reign at Los Blancos. According to French Outlet L'Equipe, Zidane is already considering next job and has his sights on a move to the Premier League. The report claims Zidane is very keen to join Manchester United. Meanwhile, Coach Jose Mourinho is under pressure to perform after failing to win a trophy last season at Old Trafford. Despite finishing 19 points behind Manchester City, Jose Mourinho described last season's secondplace finish as one of his 'biggest achievements'. However, Mourinho has been at war with the Club's hierarchy this summer, over their refusal to sign a player he wanted before the transfer window closed on Thursday last week. Tottenham's Toby Alderweired, Bayern's Jerome Boateng, Leicester's Harry Maguire and Barcelona’s Yerry Mina were all wanted by Mourinho, but United's executive chairman Ed Woodward failed to strike a deal for any of the players. Mourinho then warned United's board that the club faces a 'difficult season' if the squad isn't improved. And The Portuguese also disagreed with Ed Woodward over Anthony Martial, with the United Manager ready to sell the Frenchman. In July, reports claimed The Red Devils have shortlisted Zinedine Zidane as one of the candidates to replace Jose Mourinho if he leaves at the end of the season.